Всем привет! Я снова с вами. Сейчас вылетаю в Пинзоло на сборы. Буду тренироваться. По всем очень соскучился! Постараюсь писать чаще! Hello to all! I'm with you again. Now fly to Pinzolo in the camp. There I will train. I miss everything! I'll try to write more often! Today I found this poster on the website of Pinzolo Ice. I asked Sara what is this. And then, instead of her reply Lelo posted this. PINZOLO A SHOW IN AUGUST. 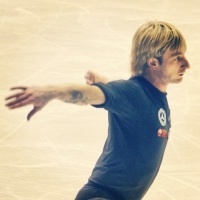 Sara from Pinzolo us that on August 14 at 21:15 Stars on Ice will be held with the participation of Pinzolo Plushenko. The presale will begin shortly and only locally. Last year's "Stars on Ice" of Pinzolo Ice. 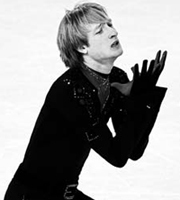 I saw pictures of Zaldua/Sukhanov and Polishchuk(another man?)/Besedin. Maybe Ari knows something? Kudryavka wrote: I asked Sara what is this. And then, instead of her reply Lelo posted this. ... what more confusion caused to me - last year's show had the same date and time - 14.08. Evgeni arrived in Pinzolo 1 hour ago and he is now resting. Tomorrow at 10 first training on the ice !!!!!!!!! Didn't see him yet. Miyamoto's program is EX or...? On June 19, he left Japan. Haha. My crystal ball was right (again).